Although we took a couple days off for Christmas, we've continued to take a hard look at ways to improve our service you: our friends, patrons, and patrons-to-be. Please know that we will be offering our current 2-band Silvertips (now designated as "1704C2x") while supplies last. For now, we do have a few of the new 2-band knots--designated "1712A2x Select Badger"--dense 2-bands with springy backbone and resilient tips--and a somewhat larger supply of the 3-band Silvertips, designated "1503B3x Special Badger." We will be offering both in our ReadyMade Collection. A quick word about our new knot coding system: for BSSW brushes listed beginning January 1, 2018, we have begun using are including a coding schema to facilitate comparison between our brushes and (perhaps) brushes from other makers. Our system is very simple: the first four digits indicate the year and month the knots were received. The fifth position is an internal code assigned to each the knot maker/supplier. The sixth indicates the number of bands while the seventh, shown above by an "x", denotes the knot shape: (B)ulb, (H)ybrid or (F)an profile. You'll also see that we've begun measuring and publishing knot Free Loft (with Ken's kind permission!) 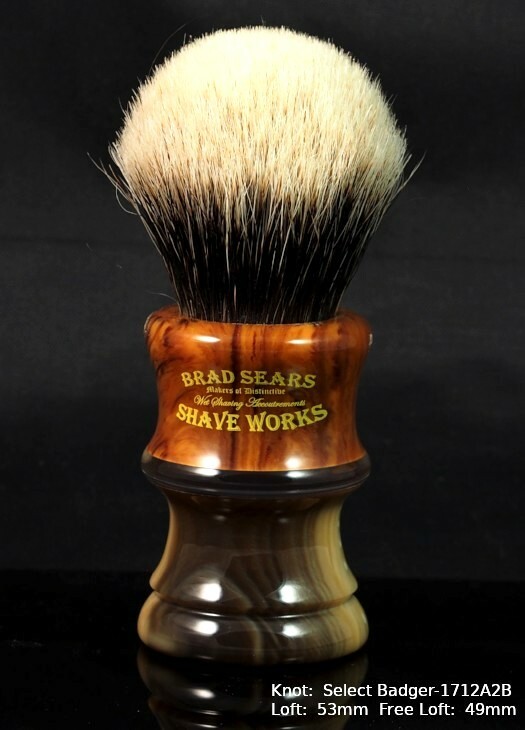 Most of us know that brush descriptions and comparisons are subjective are subject to numerous variables. By instituting this schema, we hope to at least begin to make these descriptions (and comparisons) somewhat more meaningful. 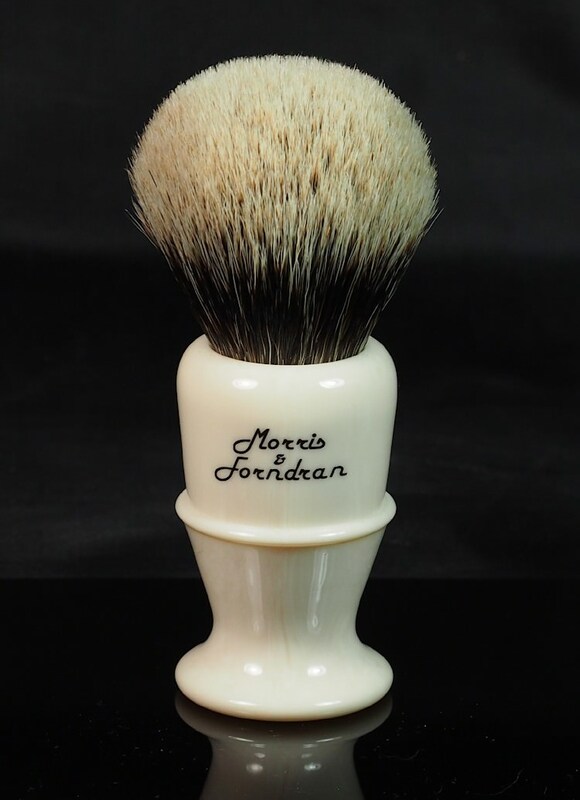 With all of this, please be assured that we are continuing our relationship with Lee Sabini of Morris & Forndran! 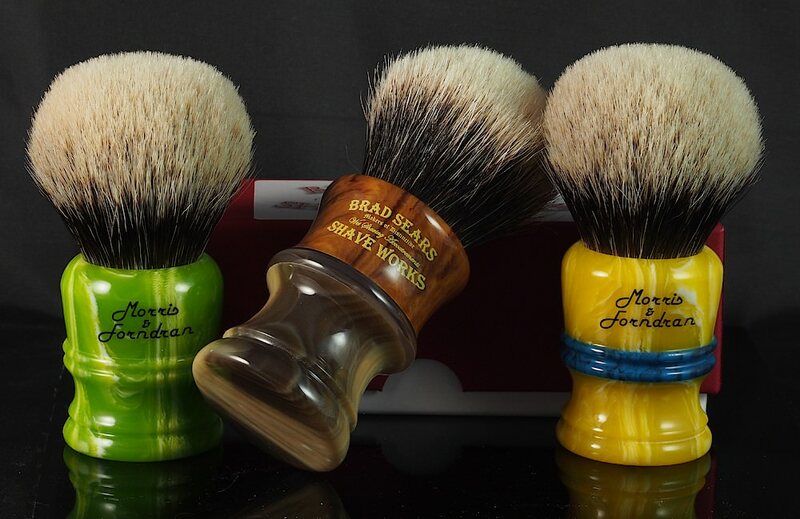 AND, as mentioned earlier, expanding our ReadyMade offerings of M&F brushes. 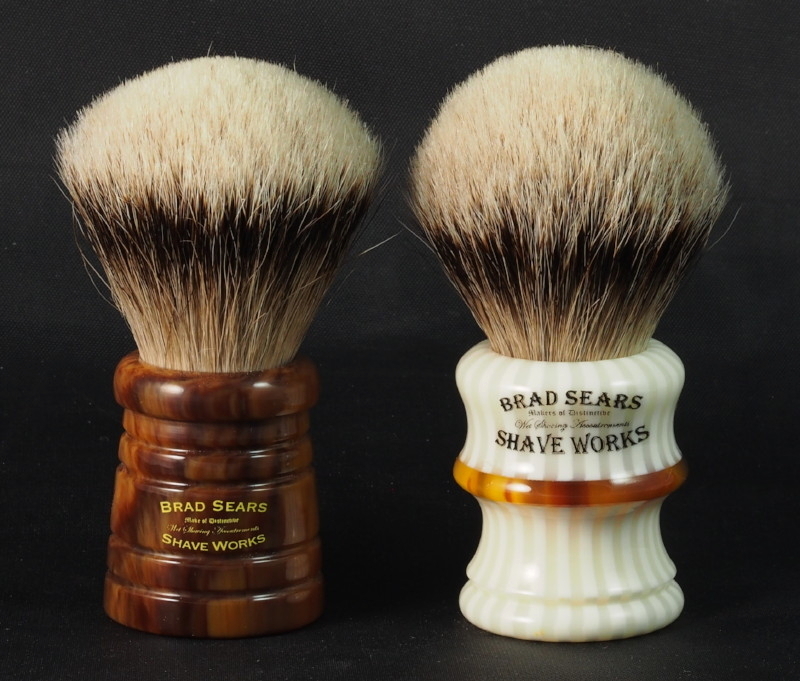 In that regard, Lee tells us he's received some of the best 2-Band Finest Badger hair he's seen in years (all of which fills our current "ReadyMade" M&F brushes!) Lee is also planning to bring in more of his 3-Band "Super Badger." All in all, 2018 is looking quite promising. As always, your comments and suggestions are most welcome! So for now, Nancy, Gus and I wish you a Happy, Safe and Prosperous New Year! Congratulations on your new pup, Dave! There was a butterscotch standard female ("Abby") in Gus's puppy and intermediate training classes. She's a VERY smart pup with lots of energy. I'm sure your little girl will keep you "engaged" as it were. Separately, I'm glad you appreciate your pepper mill. And delighted it went to someone who appreciates--and uses(!)--it. As you might imagine, I'm very happy with these knots--the new 2-bands especially. From what Lee and I have seen, the 2017 Fall market seems to have produced some of the best hair in years. Because the 2-bands are so good, I've requested a couple sample 3-bands to compare against our leftover 2015 stock. We're cautiously optimistic--especially given the price--but we'll see. Anyway, please accept Nancy's and my best wishes for a very Happy and Prosperous New Year! As an Update, our Chinese knot maker just advised that our new 1712A2x knots have just shipped. We hope to have them in 1 - 2 weeks. As someone who has been “away” from forums for a while I’m excited to see this. 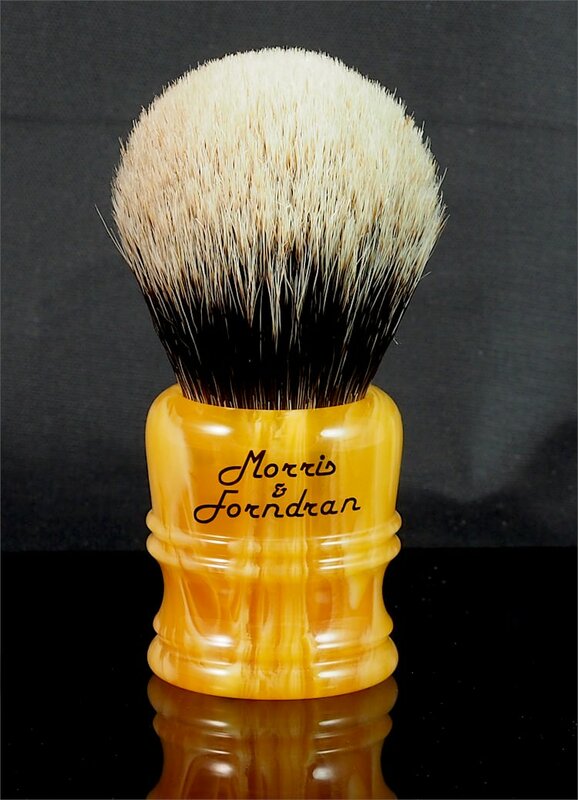 I’ve got several M&F brushes that I purchased directly from Mr. Sabini, and they are certainly treasures with decades of service left. It looks like things have changed (for the better) since 2010/11! As well they should! Gus looks well trained and asset in the shop. Really like my recent brush !! 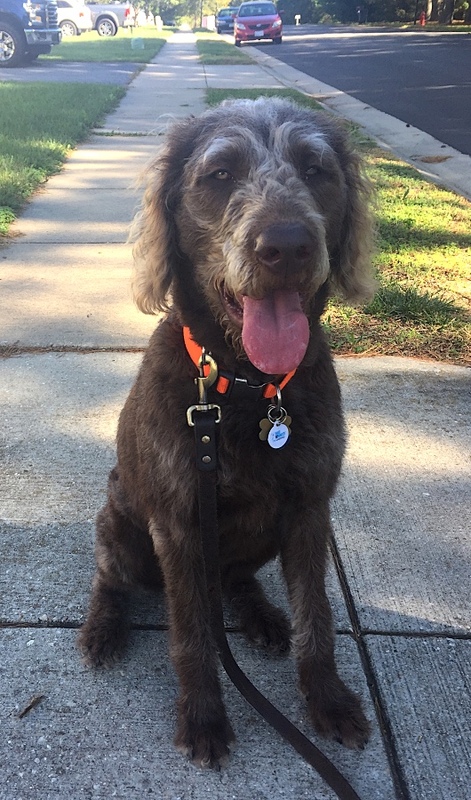 (01-06-2018, 05:48 PM)SCOV Wrote: Gus looks well trained and asset in the shop. Really like my recent brush !! Ha-ha! Thanks for the link. Gus is getting there, but bowling? Not quite yet. Thanks for the updates, Brad. Here's to an awesome 2018 for you and yours! By the way, our new 2-Band Select Badgers came in about 10 days ago. I think they're quite nice: firm, yet springy backbone with soft tips that tend to hook. Good afternoon, All! 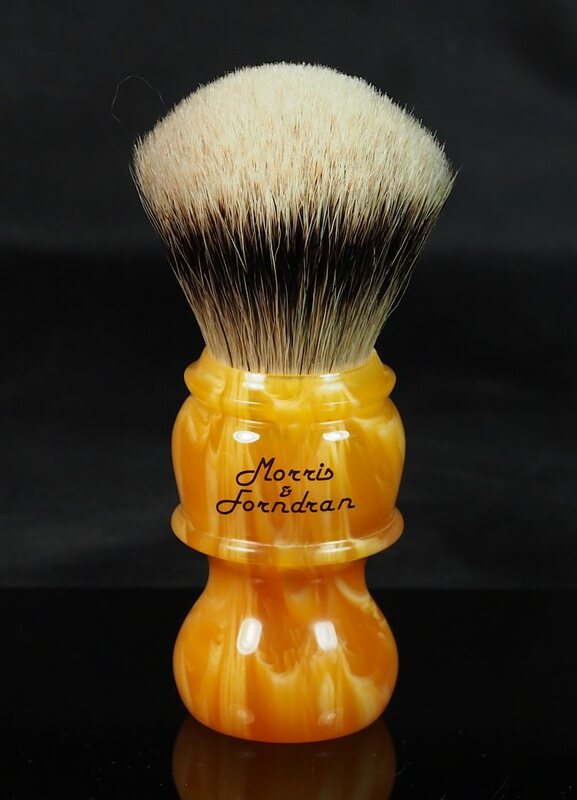 We have added several new Morris & Forndran brushes to our ReadyMade Collection including this lovely little Amber 1XL filled with Lee's latest batch of Finest Badger. I think I can safely say that this is the nicest 1XL I've seen in a long time. More here. My two "unicorn" hair brushes have turned into my favorites nearly overnight. Here they are in full bloom. 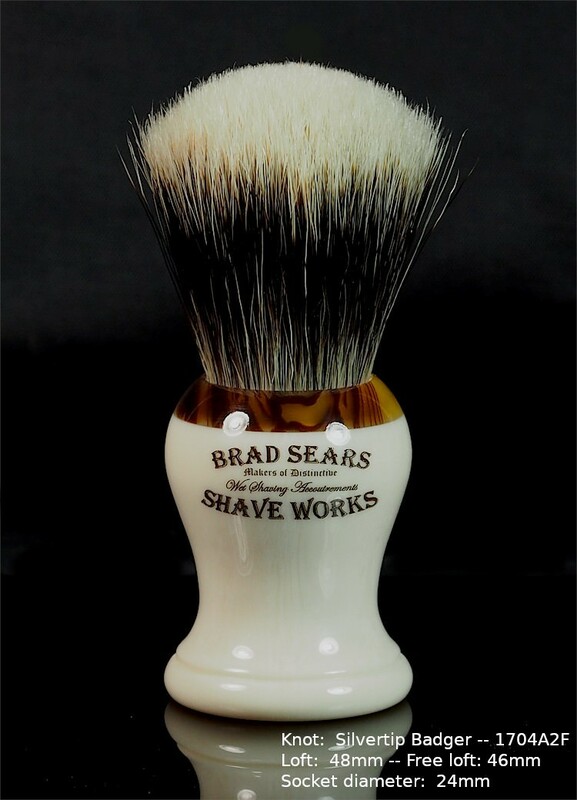 Amazing craftsmanship Brad! (01-26-2018, 01:26 PM)Mr_Smartepants Wrote: My two "unicorn" hair brushes have turned into my favorites nearly overnight. Well to be fair, judging knot face-feel can be highly subjective (YMMV). For me, these knots tick all the boxes on my wish-list. 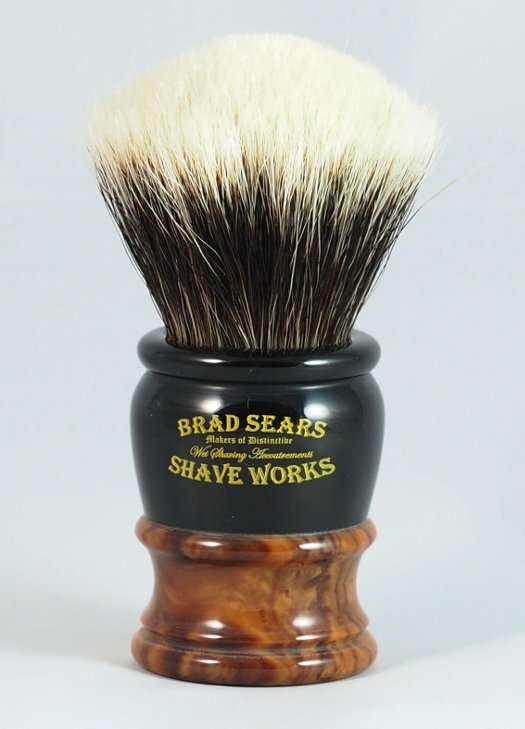 Super-soft tips, decent backbone, zero-scritch, dense feel without being a lather-hog. 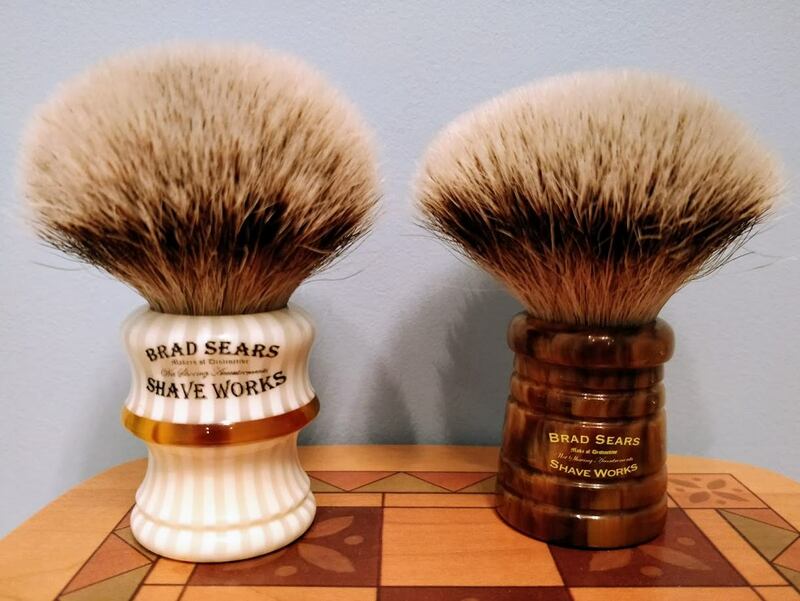 Those brushes really do look fantastic! How is the backbone compared to the 2 band Brad Sears? 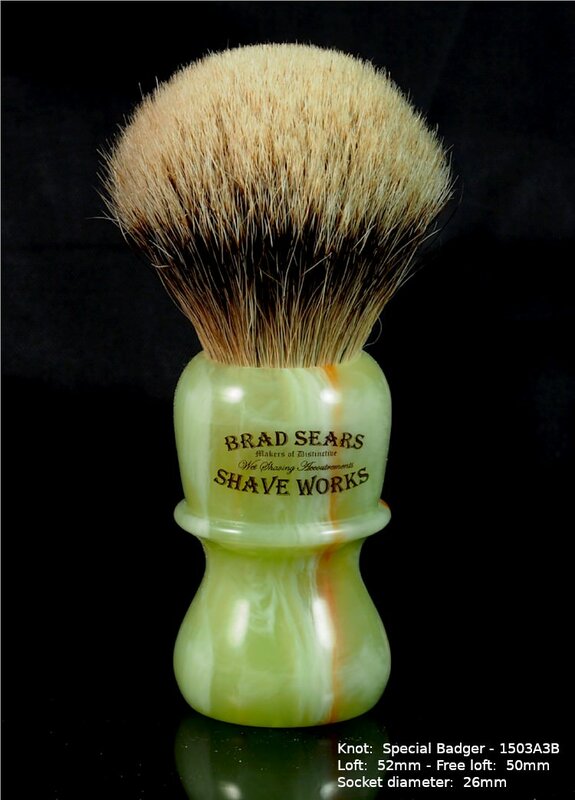 Loving the Jade Alibaba handle I sent to you to get filled Brad! I hope you don't mind my jumping into this conversation. I'm doing so because I don't know that Erik has one of our 2-band Selects. With that caveat--and recognizing his YMMV qualifier--the 2-bands have more substantial backbone. The tips are still very soft and the flow through is similar to the 3-bands. (02-05-2018, 04:33 PM)kooshman7 Wrote: Loving the Jade Alibaba handle I sent to you to get filled Brad! That's great, Joe! Enjoy, my friend. 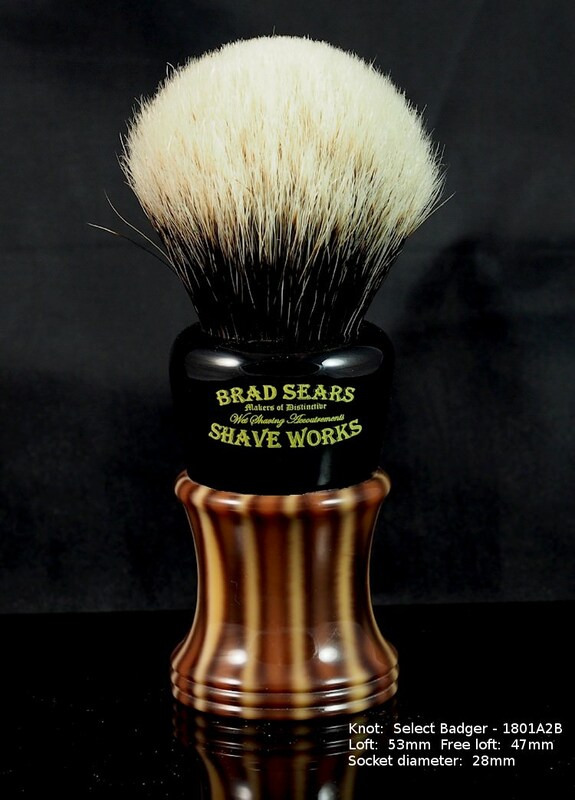 And the Chichester in Jade resin with a 26mm 3-band Special badger (aka "Unicorn Hair") knot. As always, thank you for your consideration! Oehh that Barrister sure is something. Would love to photograph that one...sadly out of funds. 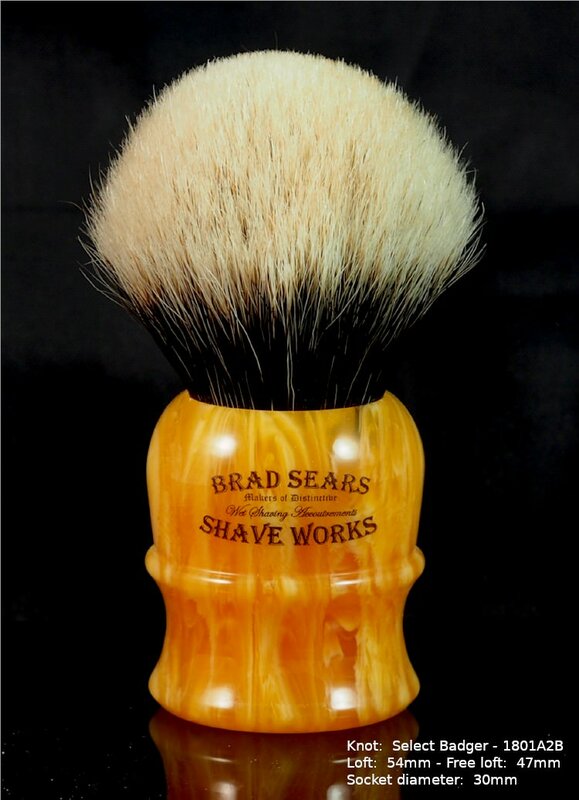 A 26mm Super Badger L7 in Amber. This knot is formed from Lee's latest batch of Super hair--a very thin hair that he says lends itself to densely-packed, shorter lofts. I haven't tried it yet; but it feels quite nice. 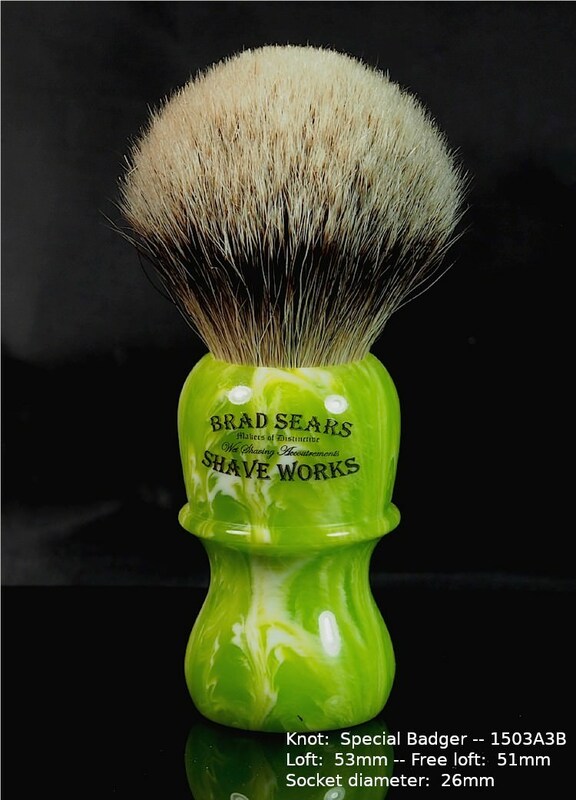 And a 26mm Special Badger Chichester in Lime. Thanks for your time! It is our privilege to be of service.